Bright and modern, two words used to describe this wedding by Every last detail and the two words I would love to describe our wedding too. 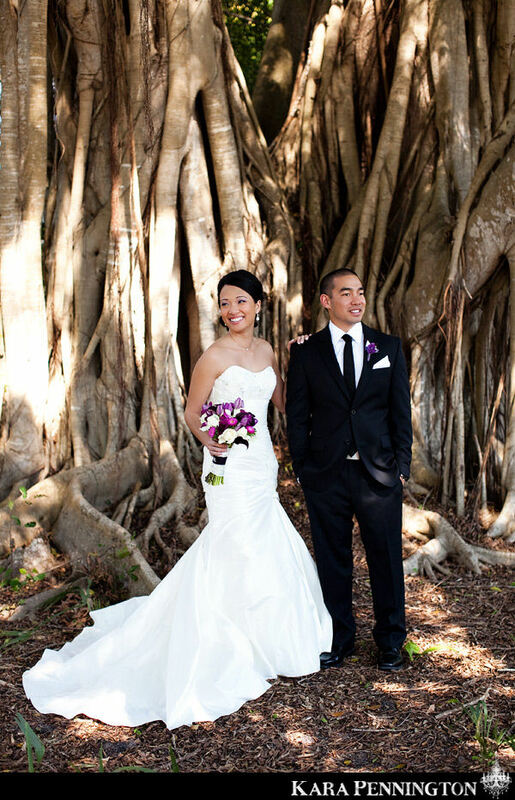 This wedding really caught my eye, not only because it includes a lot of purple but because it highlights a lot of the modern details I would like for our wedding. Find many more stunning photos here. I love both the brides flowers above and the button holes, they’re just so bright, purple and modern. I especially like the button hole, its so much more me than the roses traditionally seen in the UK. I also really like the grooms suit. I’m not really a fan of the grooms outfits that are so popular in the UK, like the tail coats and cravats. I think this look is much more modern. The only thing I’m not sure about is the black tie, I think I would prefer purple. 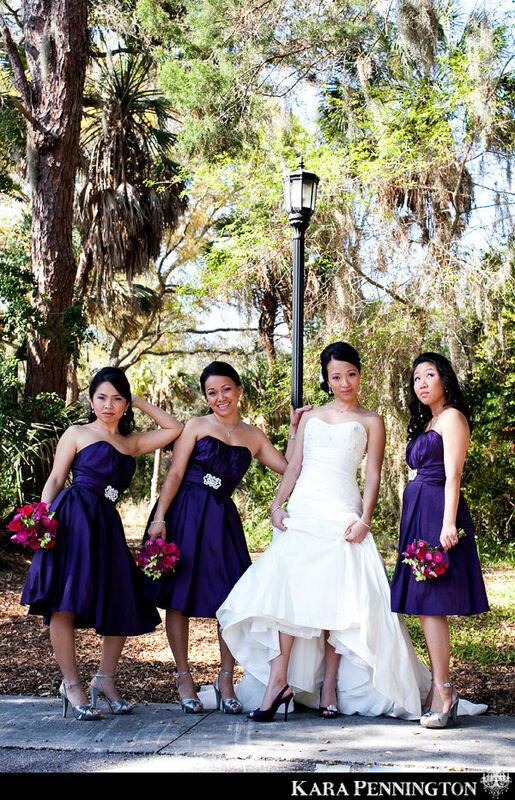 I love these purple bridesmaids dresses and the flowers are gorgeous too. 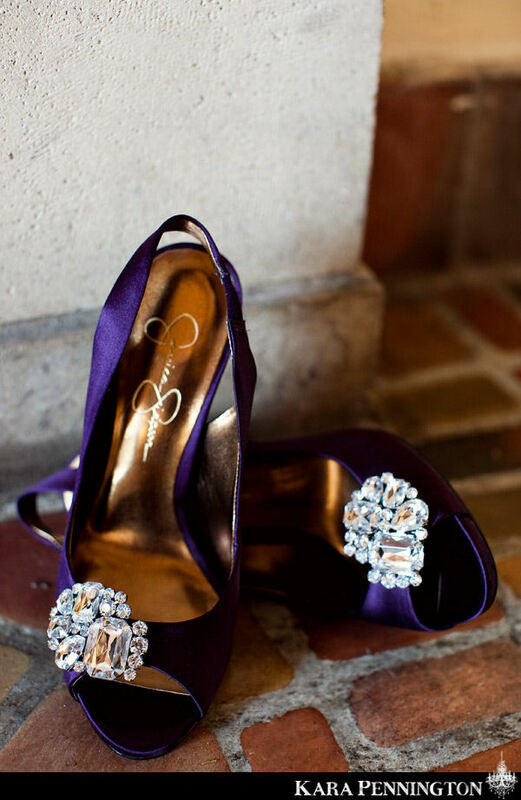 And finally, the bride wore gorgeous purple shoes! 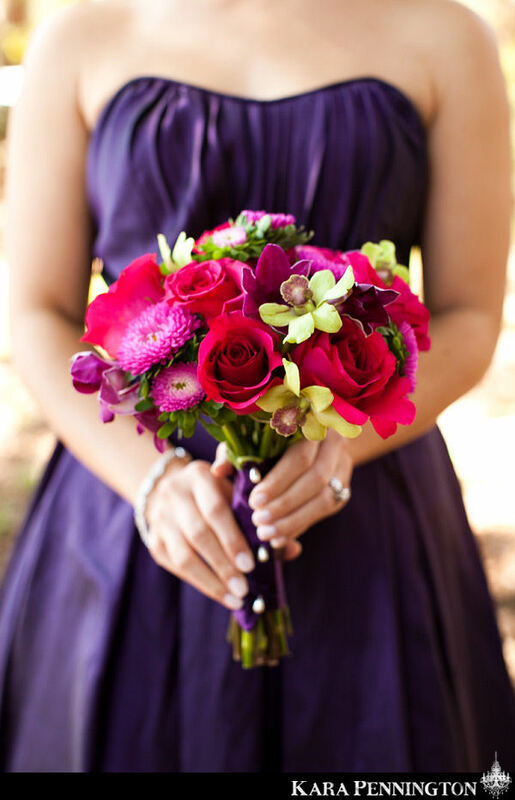 I love the different shades of purple…they are bold, beautiful and romantic. Stunning. Your approach to the theme is incredible. Those Asian models are amazing ! Nice composition, that is romantic style.